Did the 2018 Farm Bill Legalize Commercial Hemp? The passage of the 2018 Farm Bill will have a significant impact on the worldwide commercial market because it legalizes hemp. 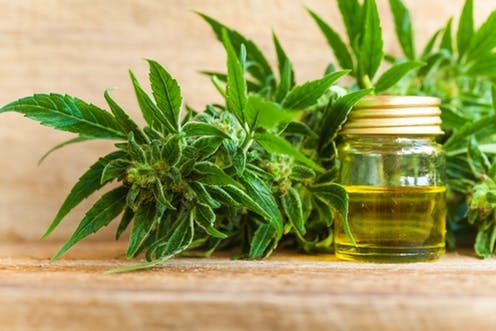 Products and medicines produced from hemp are now available for marketing and research in the United States thanks to the provisions contained in the new law. Analysts are predicting the sale of these goods to add billions of dollars to the US and worldwide economies. Hemp is a form of cannabis that contains little to no THC, which is the psychoactive ingredient in marijuana. The Farm Bill did not legalize marijuana. In hemp, there is a chemical known as cannabidiol(CBD) which is known to have medicinal benefits. It is now available in consumer products and pharmaceutical medicines. Also known as CBD water, this beverage contains water molecules essentially stuffed with nano-CBD molecules giving its consumer a concentrated dose of CBD. This is a recreational level product. When hemp is processed in a particular manner, it yields its CBD content in the form of oil. Adept processors can produce hemp oils which contain very high percentages of CBD. Current medical science is discovering new applications for this potent CBD oil. At this time, it used commonly as an anti-inflammatory, as well as an anti-seizure medication. It also helps protect and heal the skin when used in the form of a lotion or topical oil. These and other hemp products have already taken the market by storm. The prediction is this trend will continue.